The Queen received the First Minister of Scotland and the Presiding Officer of the Scottish Parliament for audiences at the Palace of Holyroodhouse. Her Majesty also held an Investiture at the Palace. For more: Video at YouTube. 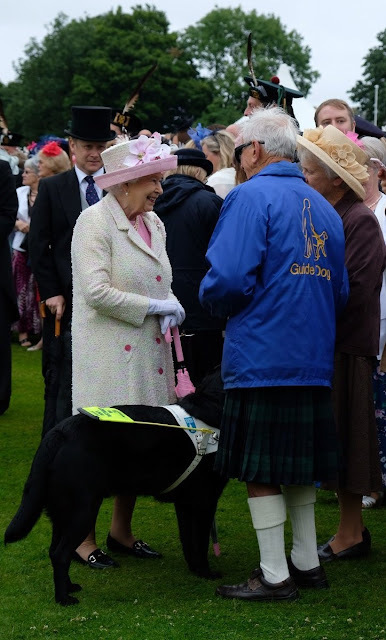 The Queen, accompanied by The Duke of Edinburgh and The Duke of York, attended a Garden Party at the Palace of Holyroodhouse.